We enable strategic decisions, business, market and product strategies grounded by current trends and data while ensuring alignment with clients’ priorities. We navigate delicate competitor dynamics common in health IT initiatives using our tested program management methodology. We lead quantitative and qualitative study design and implementation and create custom content for onsite and online audiences based on clients’ needs. 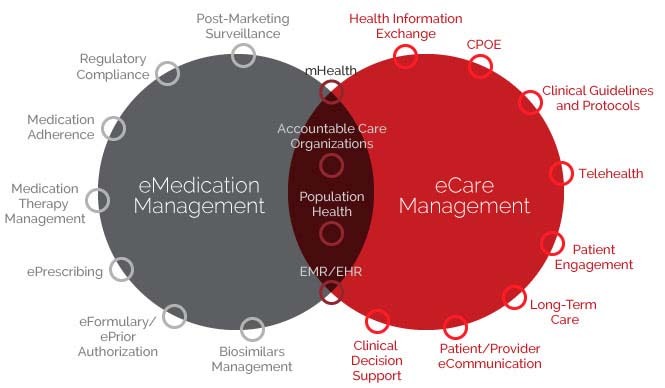 POCP specializes in two areas: eCare Management and eMedication Management. eCare Management incorporates healthcare quality and cost that benefit from the recording, storing, transmitting, accessing, integration, sharing and use of clinical and administrative health information. eMedication Management covers the effective, efficient and appropriate use of pharmacy and life sciences information to improve clinical outcomes and eliminate unnecessary expenses.